Flip the door hinge and flip sales back to where they belong. Not that long ago, there were rumors swirling around that the Lincoln Continental's days were numbered. While that still might be true, it seems the Lincoln Continental Coach Door Edition with its rearward-opening doors (suicide doors) has sold out of all 80 versions that were built as limited production models. Maybe this brilliant feature is something that should've been done from the very beginning. 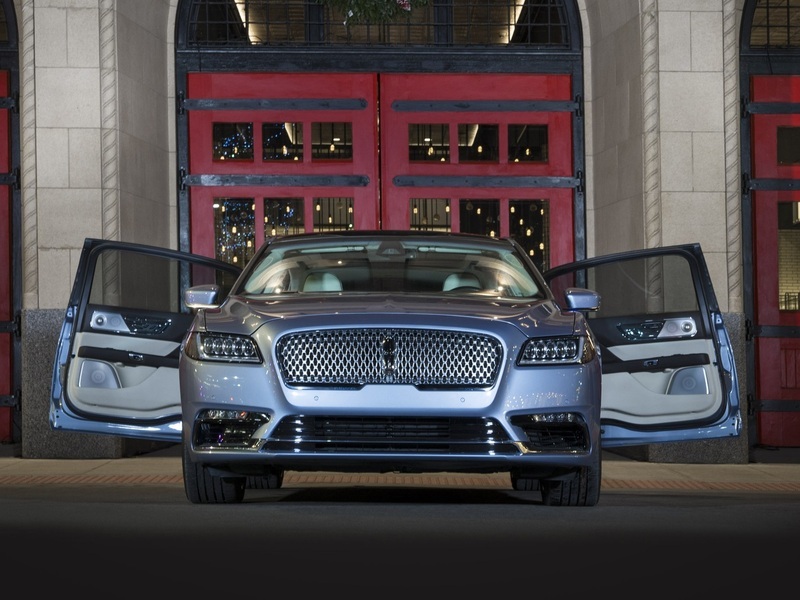 We imagine the Coach Door Edition gets attention like no other American luxury car. The asking price, however, is steep. Though there's nothing official, it's supposedly about $110,000. That's quite a bit higher than the $70,045 base MSRP of the Continental Black Label on which the Coach Door Edition is based. If Lincoln could figure out a way to make a less expensive version with suicide doors, they'd have a hot seller on their hands. It's a tough feat since it's technically a coach build, which means the car uses a donor car and gets customized. Cabot Coach Builders takes the Black Label Continental directly from Lincoln and then gets stretched by six inches and has the suicide doors installed. The car is even more special thanks to a huge center console between the two limo-like outboard seating positions. It's clear that there are affluent buyers out there who want a special car like this, but it's also obvious that a car like this would do well in the mainstream if it could be built for much less. There is more good news to come out of this. At least Lincoln will build more of these in a second batch. The first batch numbered 80 units to celebrate the famed model's 80th anniversary, so perhaps the carmaker will opt to make a batch of 81 for 2019? Who knows. We're just happy to see the Continental get a special second chance at life in a world where sedans are dying in droves.